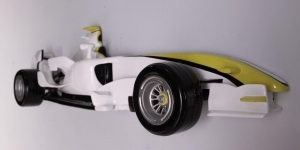 Formula I Brawn 3D racing car for wall decoration. 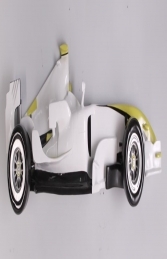 The Formula I Brawn racing car for wall decoration would be ideal in a “Boys Toys” room, Sports bar, Go Karting venues, child’s bedroom, or games room. 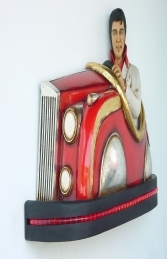 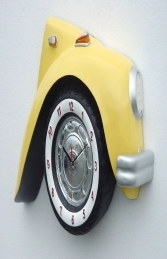 This is half a car, so it is easily put on the wall for a 3D effect. 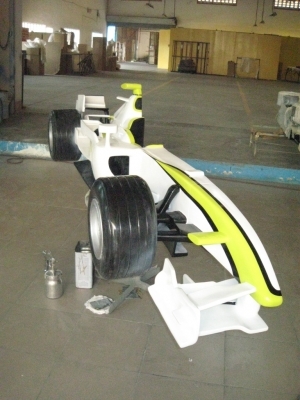 The car can be painted to your favourite Formula 1 racing team colours or to blend in with your room’s colour scheme.